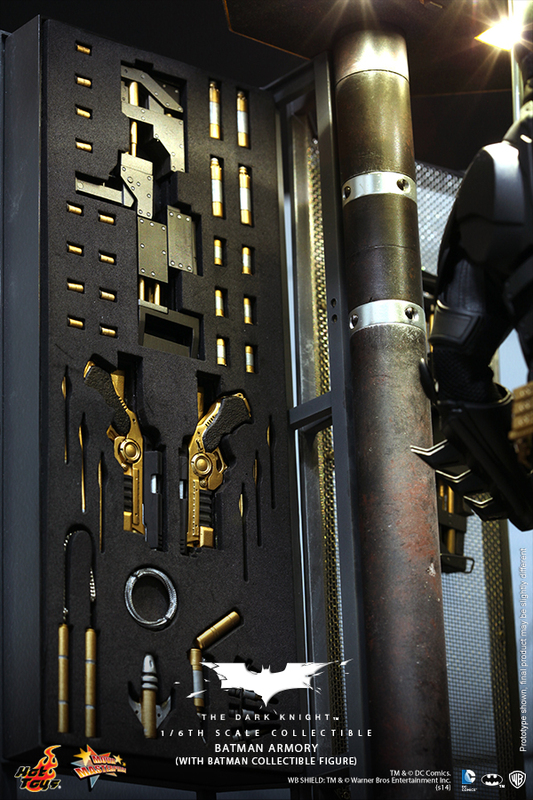 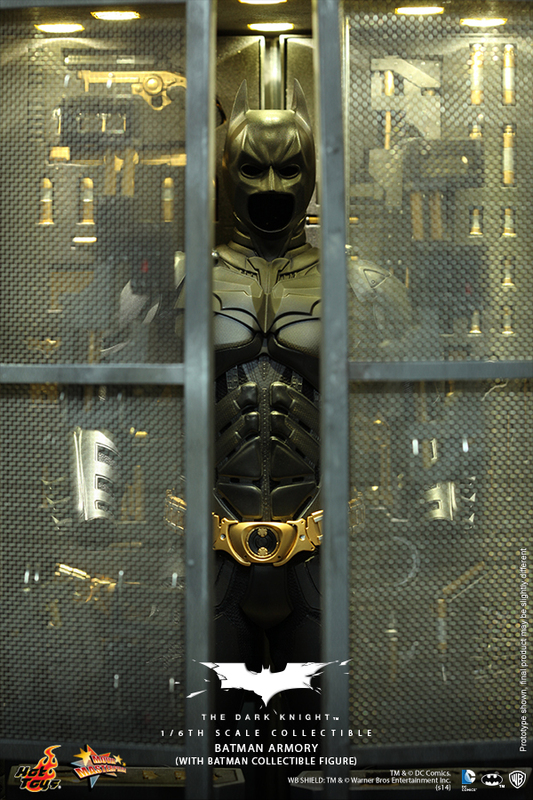 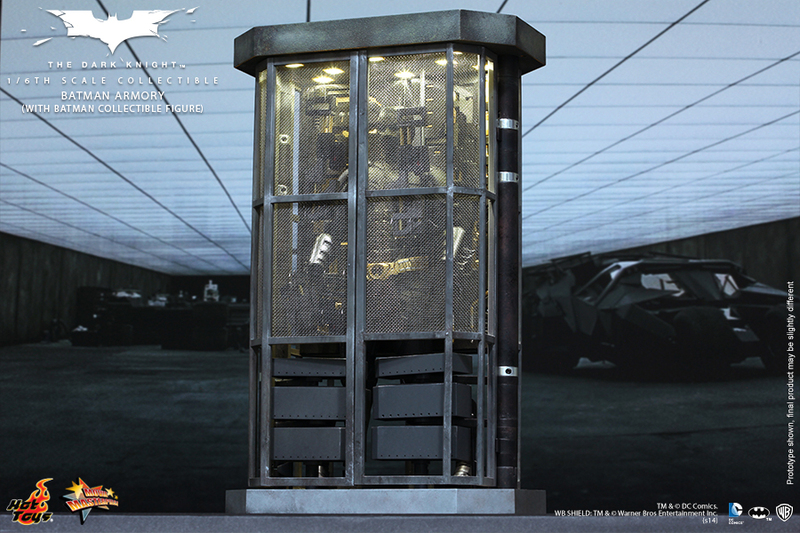 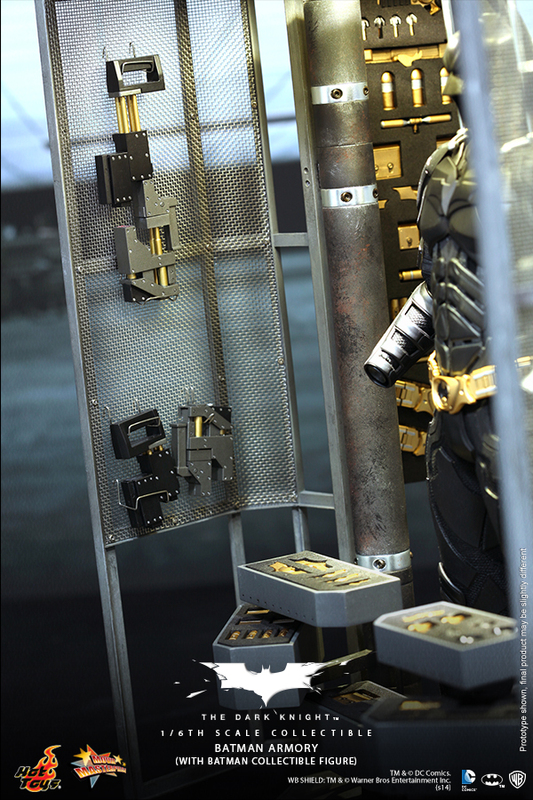 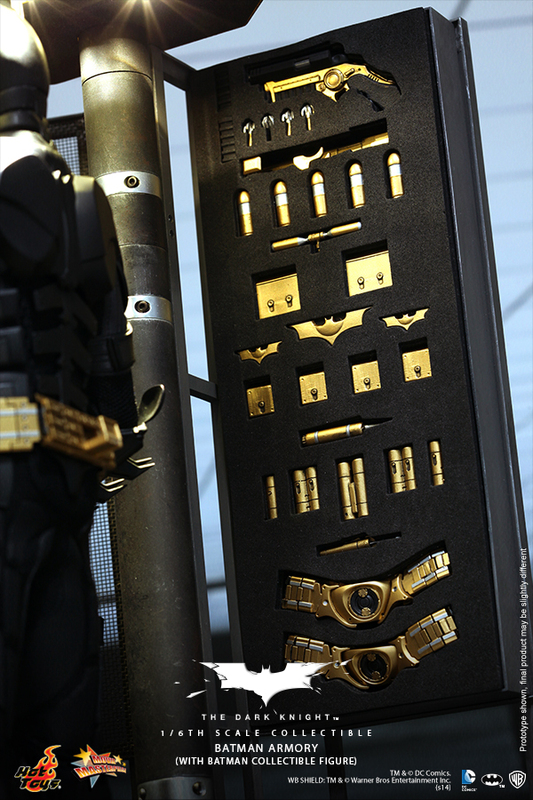 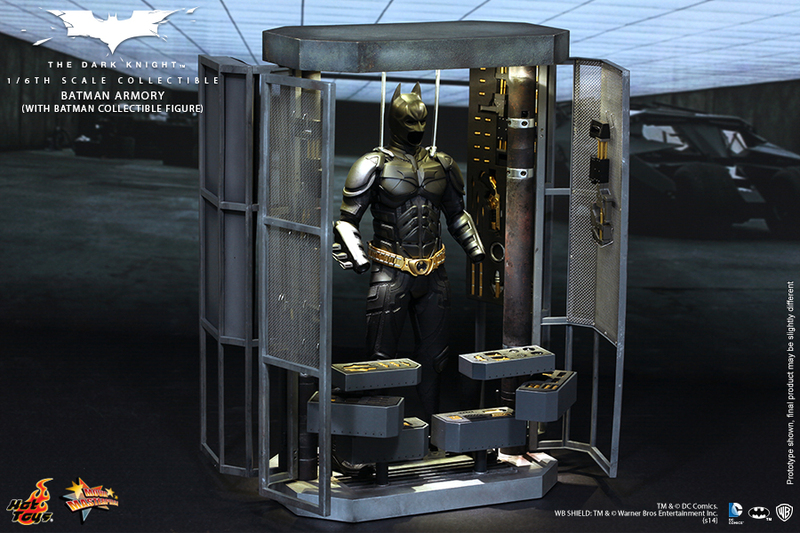 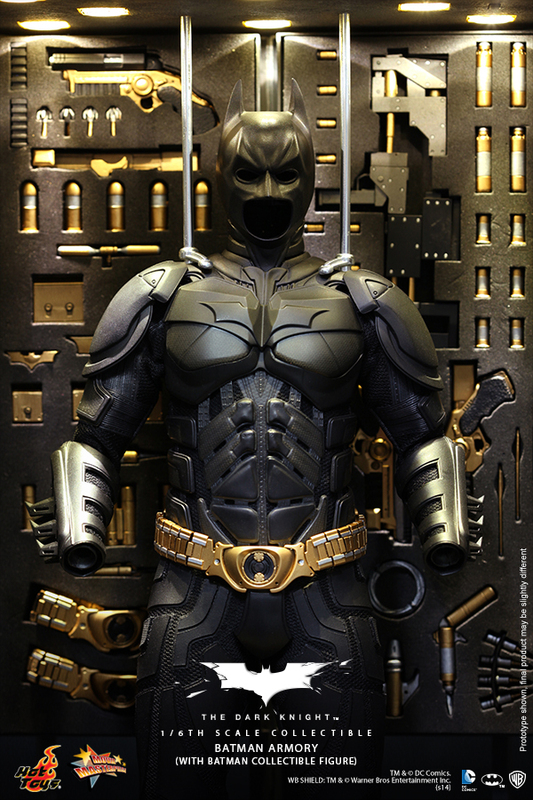 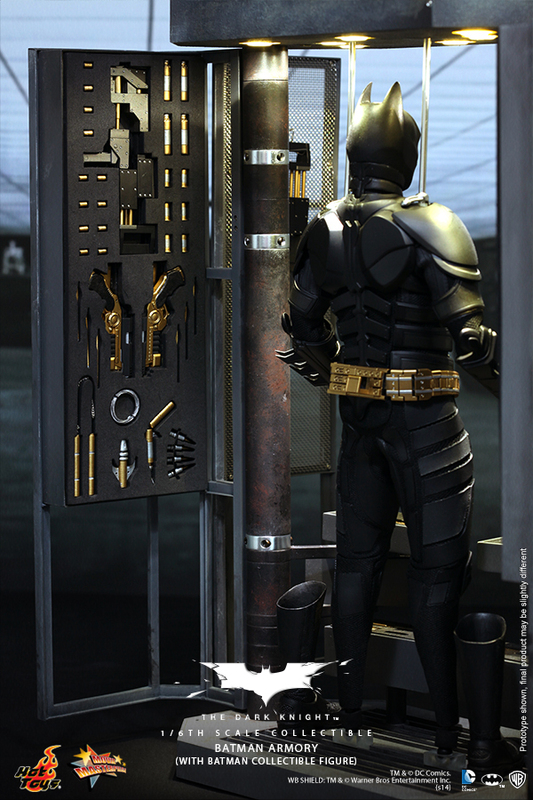 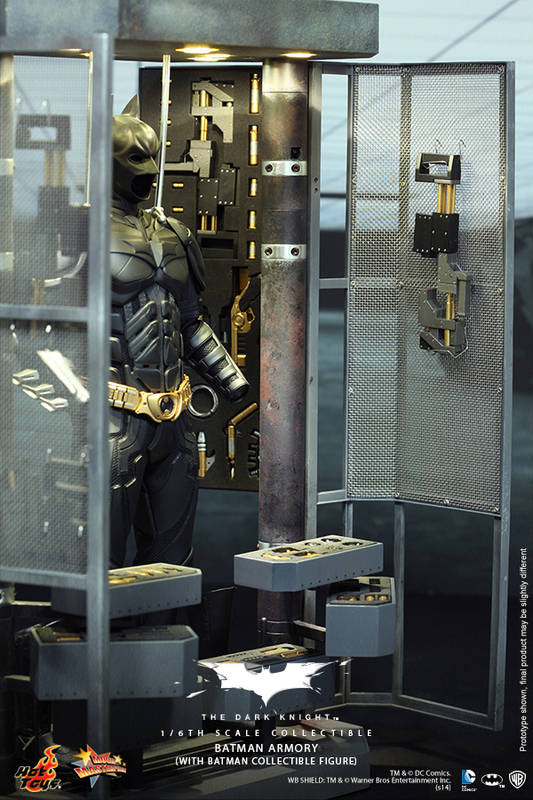 As a hero with many superior tech and equipment, Batman uses a specialized armory to store all of his state-of-the-art weaponries and gadgets. 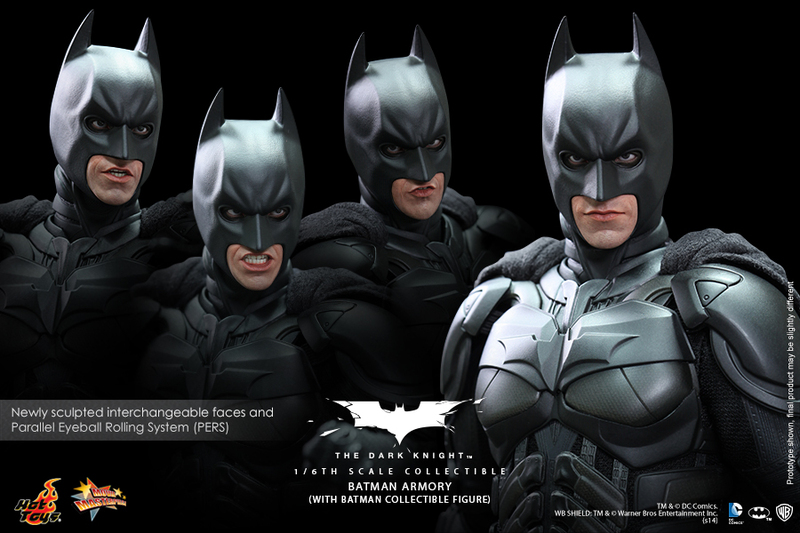 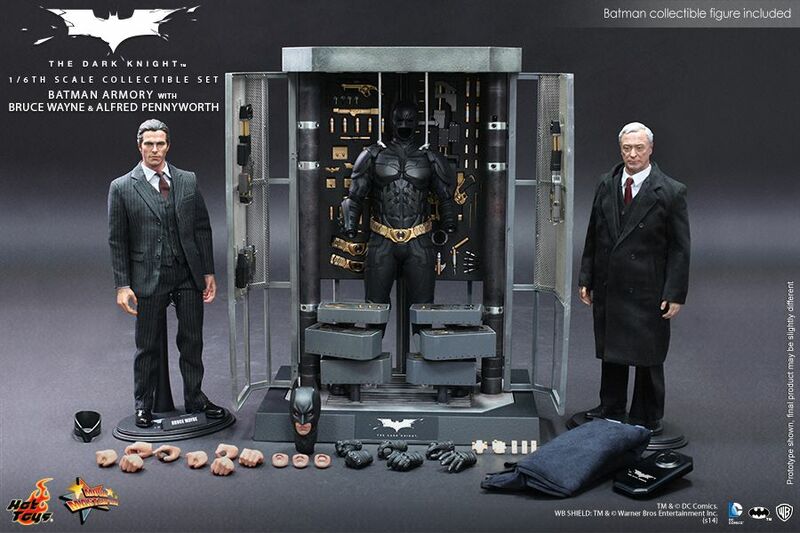 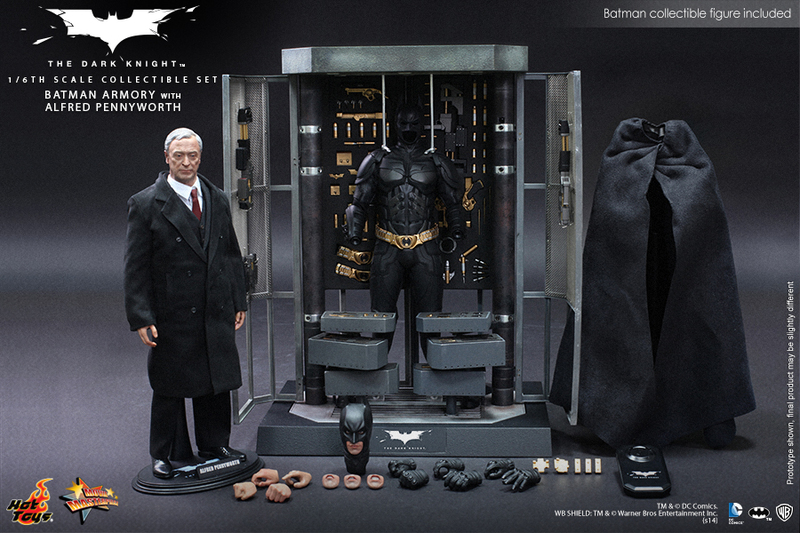 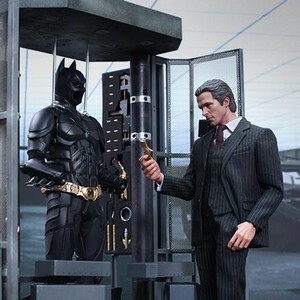 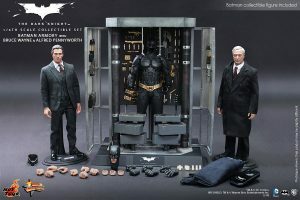 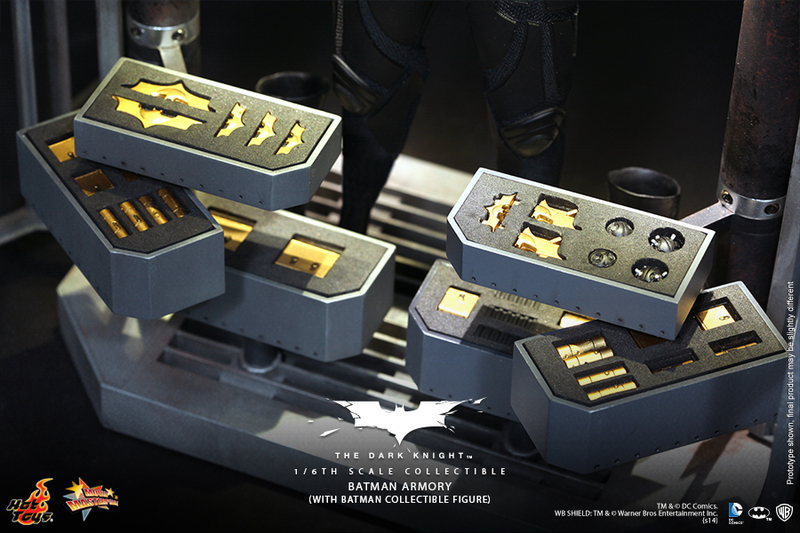 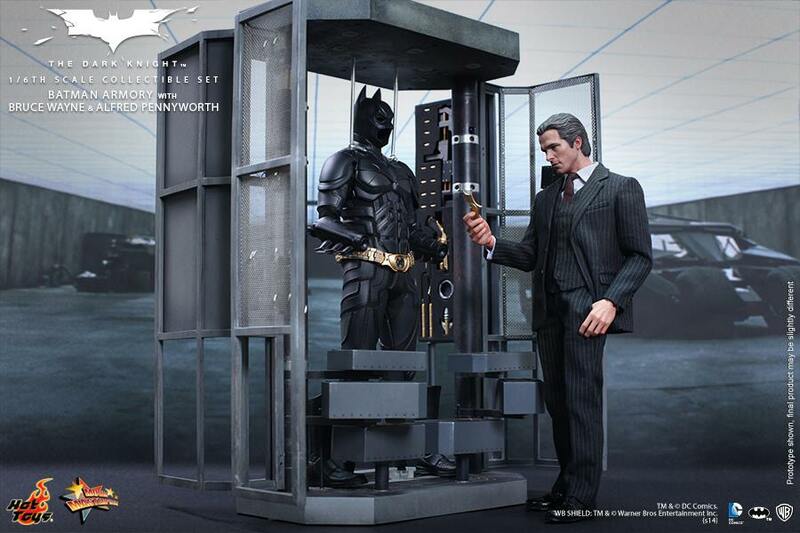 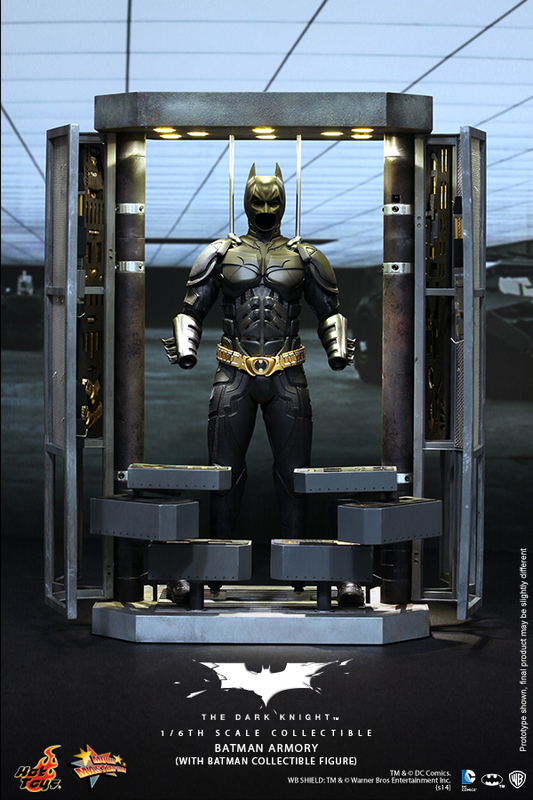 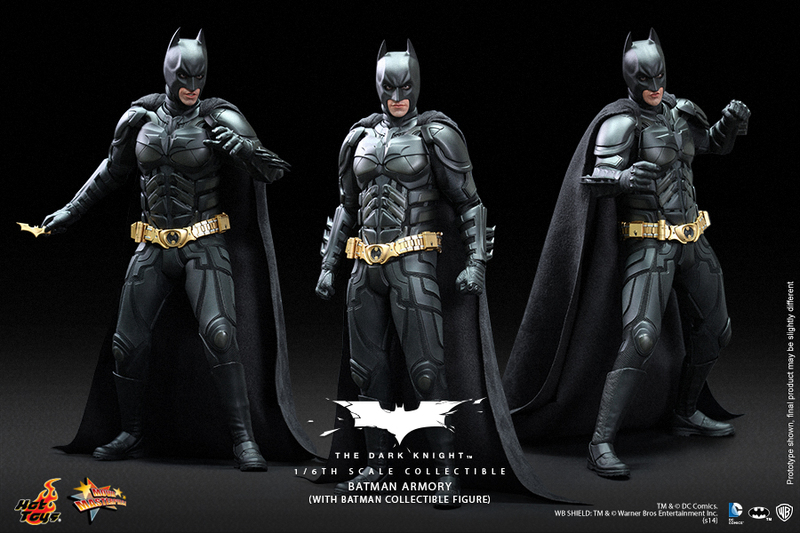 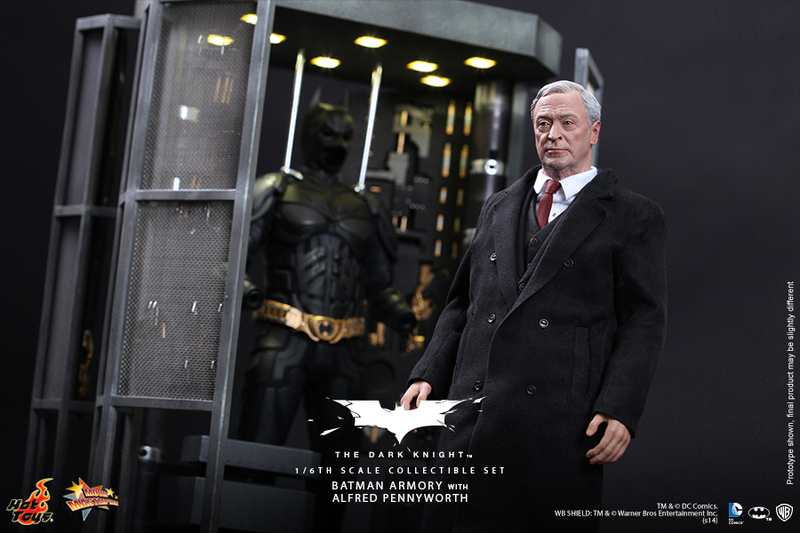 Now Hot Toys is proud to present the 1/6th scale Batman Armory from The Dark Knight together in a set with Bruce Wayne and the firstly launched Alfred Pennyworth collectible figures. 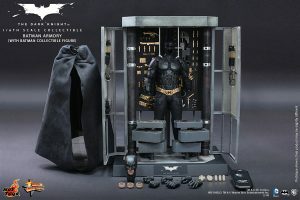 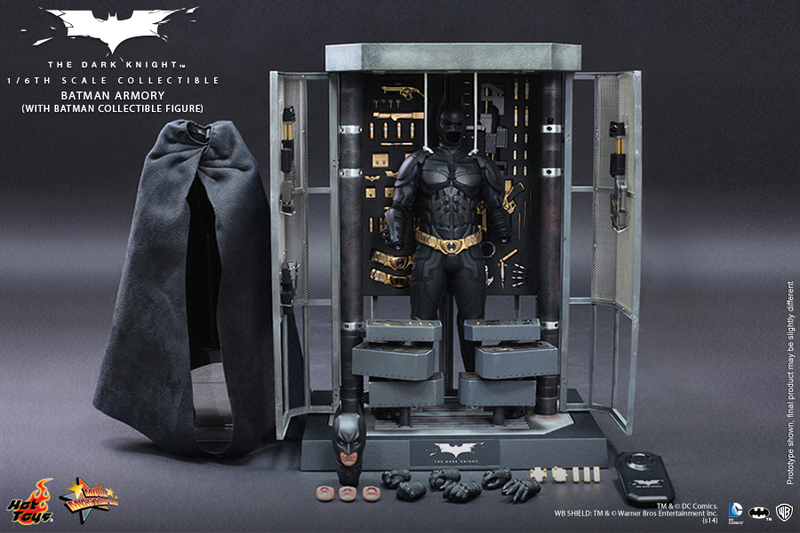 Hot Toys will release 3 different collectible sets/options for fans to collect. 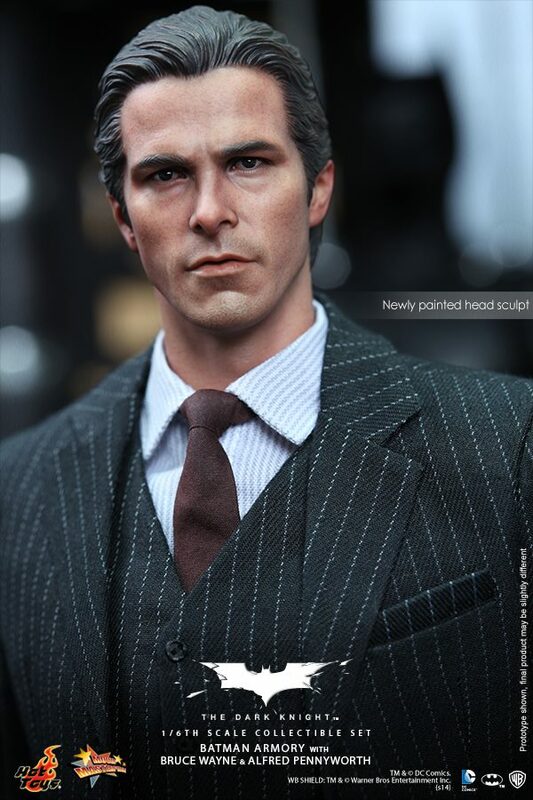 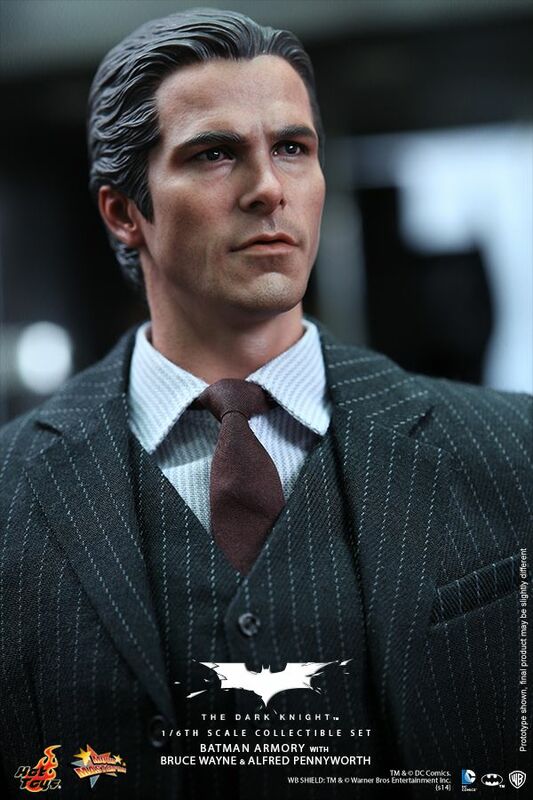 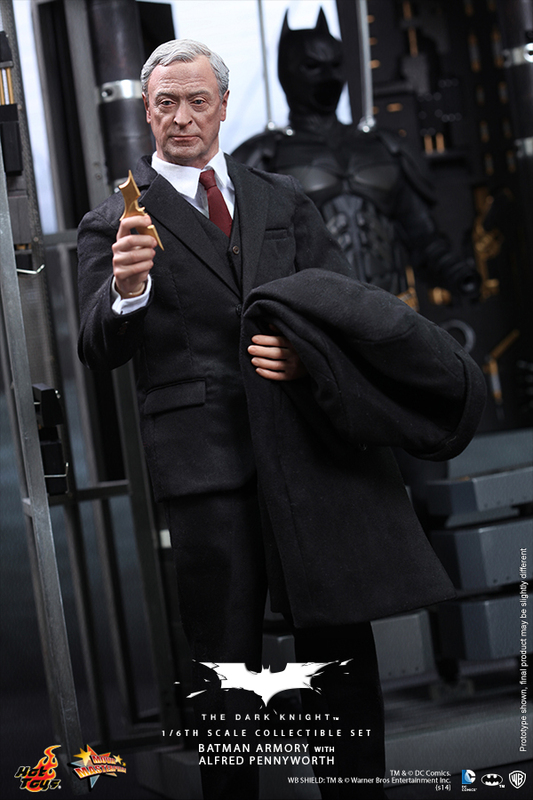 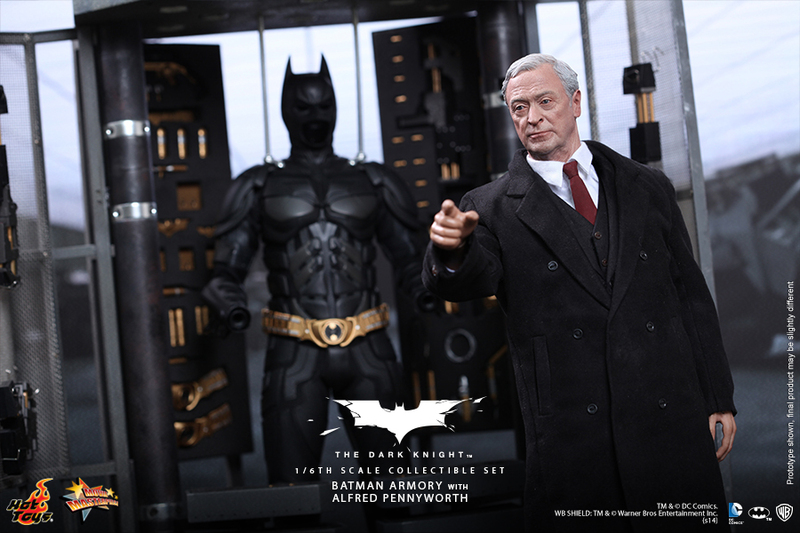 The movie-accurate Alfred Pennyworth collectible is specially crafted based on the image of the renowned Academy Award winner, Sir Michael Caine, as Alfred Pennyworth in the film highlighting the newly developed head sculpt, tailored costume with impressive details.